In the past, the idea that “Christ brought the Law to an end by fulfilling it” has been the traditional rationale of why Christians are not obligated to keep the laws of the Old Testament. We overlook the fact that in Acts 15, the early church declared that Gentiles were not obligated to convert to Judaism by being circumcised and taking on the covenant of Torah that was given to Israel. According to Acts, the reason Christians have not been required to observe the Torah was not because it has ended, but because we are Gentiles (at least most of us). 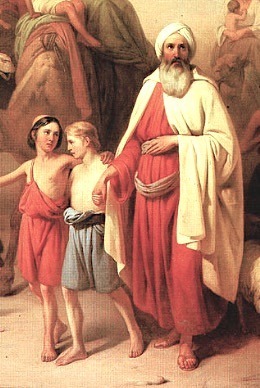 Paul, of course, was zealous in saying that Gentiles were not required to observe the Torah when some insisted they become circumcised and take on other observances. He himself still observed the Torah, and proved it to James when asked to do so in Acts 21:24-26. Yet he still maintained that Gentiles were saved apart from observing it. Paul supported this idea by pointing out that the Gentiles were being filled with the Holy Spirit when they first believed in Christ, not after they had become Torah observant (Gal. 3:2-5). He also pointed out that Abraham did not observe the laws of the Torah that were given 400 years later, but was justified because of his faith. (Gal. 3:6-9)2 He concluded that all who believe are “Sons of Abraham” even though this very term was usually reserved for circumcised Jews. An important part of this discussion is that Christians widely misunderstand the word “Torah,” which we translate as “law.” We associate it with burdensome regulations and legal courts. In the Jewish mind, the main sense of “Torah” is teaching, guidance and instruction, rather than legal regulation. Notice – a torah of hesed, “a teaching of kindness” is on the tongue of the Proverbs 31 woman (Proverbs 31:26). Why would torah be translated as law? Because when God instructs his people how to live, he does it with great authority. His torah demands obedience, so the word takes on the sense of “law.” But in Jewish parlance, torah has a very positive sense, that our loving Creator would teach us how to live. It was a joy and privilege to teach others how to live life by God’s instructions. This was the goal of every rabbi, including Jesus. If Paul is using first idiomatic sense of “fulfill the Torah” (discussed in part 1), he is saying that love is the supreme interpretation of the Torah–the ultimate summation of everything that God has taught in the Scriptures. Paul was reiterating Jesus’ key teaching about loving God and neighbor that says “All the Law and the Prophets hang on these two commandments” (Matt. 22:40). The two laws about love are not just more important than the rest, they are actually the grand summation of it all. About a century later, Rabbi Akiva put it this way: “Love your neighbor as yourself – this is the very essence (klal gadol) of the Torah.”3 Love is the overriding principle that shapes how all laws should be obeyed. The point of the saying above is that a person who is honest and praiseworthy in all his dealings with others has truly hit God’s goal for how he should live. He didn’t cancel the Law, he did it to the utmost! Similarly, Paul is saying that when we love our neighbor, we have truly achieved the goal of all the commandments. So instead of saying that the Gentiles are without the law altogether, he says that they are doing everything it requires when they obey the “Law of Christ,” which is to love one another. Read part 3 – Is Christ the End of the Law? 1 The three commandments against idolatry, sexual immorality and murder were considered the three most heinous sins, and also sins that Gentiles were particularly prone to commit. The requirements for Gentiles in Acts 15 are discussed more thoroughly in the chapter by this title in New Light on the Difficult Words of Jesus: Insights from His Jewish Context, by David Bivin, pp. 141-144. See also the discussion in the article, Abortion, What the Early Church Said. 2 See the article Family is Key to the “Plot” of the Bible. 3 Rabbi Akiva, (who lived between about 50-135 AD); B. Talmud, Bava Metzia (62a). 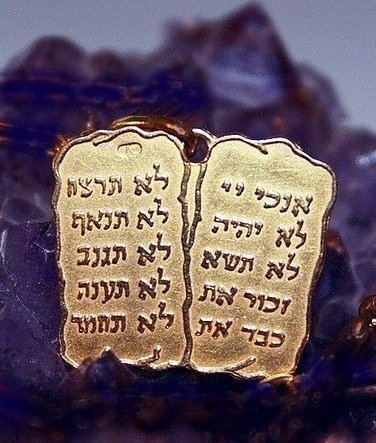 Also see the article, The Shema and the First Commandment. 4 Mekhilta, B’shalach 1 (written between 200-300 AD). Image credit – Glen Edelson Photography, József Molnár. If the mosaic age ended in A.D. 70 the apostles Peter,James,and John must have missed that teaching. They continued to obey torah and the festivals and always kept the sabbath on the 7th day as required by the law.